225 "My turn to take your picture, Mama!" 229 Dobos Torte (10 layers); my 26th birthday cake. The picture is not the best but this cake is soooo decadent. Recipe found here. 230 Grilled Pork Chops with Spice Paste; so delicious! 231 Nathaniel wanted to nap with his teddy bear and pillow-pet cow. Awesome photos this week. I love that birthday cake. Happy Birthday!! :) They are all wonderful as usual. 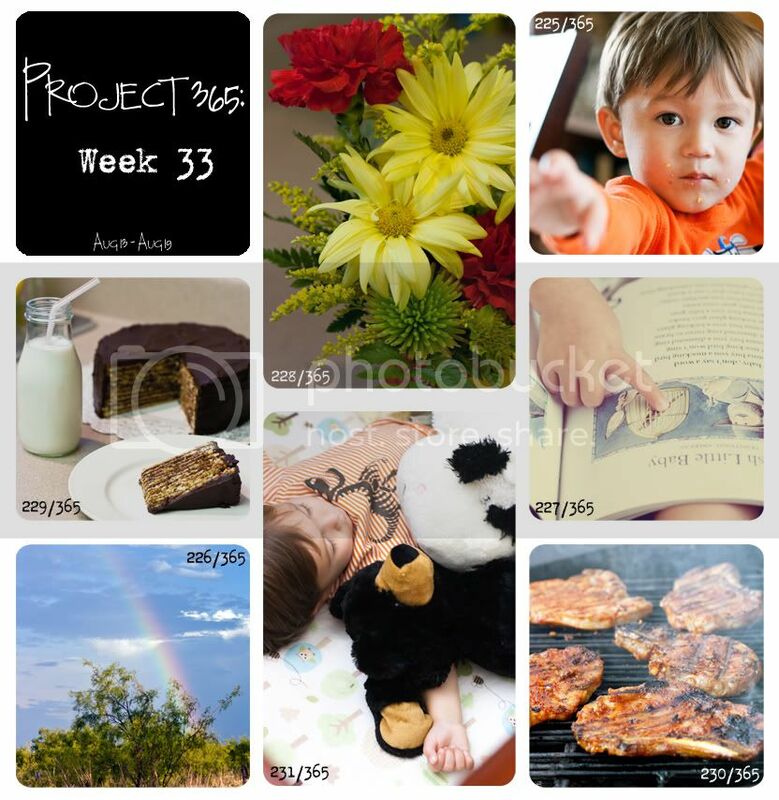 Love all the photos, especially the rainbow and Nathaniel napping with his cuddly toys! I am following your blog now. I invite you to come by and visit my blog!